Shortly before 8 a.m., the school children reported a man had offered them candy. Officers found Jesus Chavarria, 43, at the corner of 34th Street and Oak Street, not far from the elementary school. The children positively identified Chavarria as the man who had approached them. 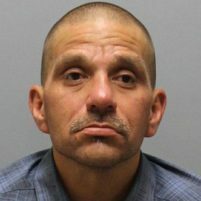 Officers then arrested Chavarria for being under the influence of a controlled substance and for possession of methamphetamine, police said.